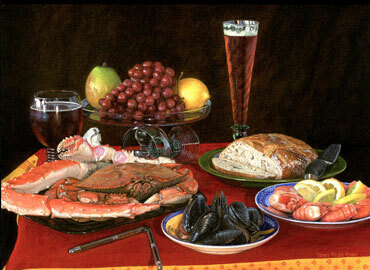 Baranof Fishing Excursion's recommended Ketchikan restaurants. Hey, I'm Greg Slagle, and I've been eating in Ketchikan since I was born. I wouldn't refer to myself as a gourmet, but I've eaten at all the restaurants in town and can give you a few thoughts on what's available. If you're looking for restaurant reviews with a bunch of French words, you're about to be disappointed. However, if you'd like to hear a Ketchikanite's take on some of the local food scene, read on. Below you'll find a selection of nine restaurants that I enjoy. From my entirely biased point of view, the best seafood restaurant in Ketchikan. 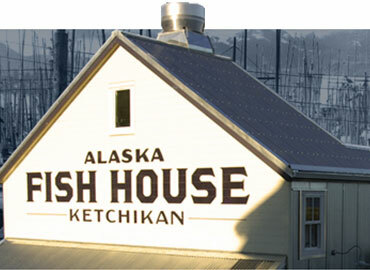 The Alaska Fish House serves fresh Alaskan seafood in the heart of downtown Ketchikan. The menu features common Southeast inspired adaptations of Fish & Chips, seafood tacos, shellfish and more. Overlooking historic Thomas Basin harbor and the Baranof fishing fleet, this restaurant is ideal for a quick bite or full sampling of Alaska seafood. Waterfront location with one of the most sophisticated menus in town. One of the few Ketchikan restaurants you wouldn't feel out of place showing up to in a tie, Bar Harbor nonetheless has something for everyone. Specializing in gourmet versions of hearty, home-cooked style meals, they also provide wine pairing suggestions. Best place for a fancy burger as well. 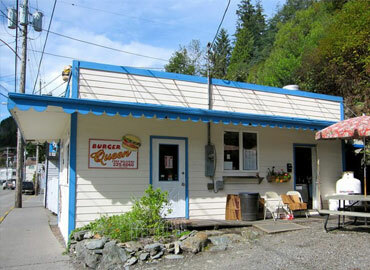 Ketchikan is a seafood town, but this is where we go when we want to get a burger. Right at the end of the tunnel, this joint has been around forever and specializes in burgers from classic to weird (i.e. the Hawaiian burger comes with a thick cross-section of pineapple). Straight across the street from the Arctic Bar, you can also enjoy a beer if you want to take a break. Good food, atmosphere, and an amazing view. 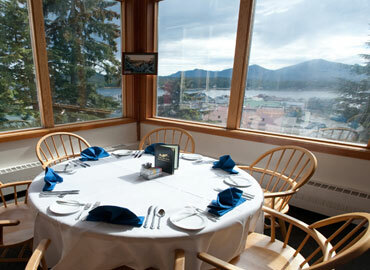 Situated on the hill overlooking downtown, Cape Fox provides a panoramic view of Ketchikan. 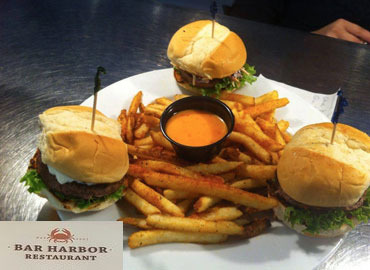 You'll find an extensive menu featuring fresh seafood and classic gourmet favorites. Taking the tram to the top of the hill for a break from shopping on Creek Street to take in the view and enjoy some crab and brie is recommended. Local treasure specializing in classic Filipino cuisine. This is where dad took us to eat every night he "cooked dinner." 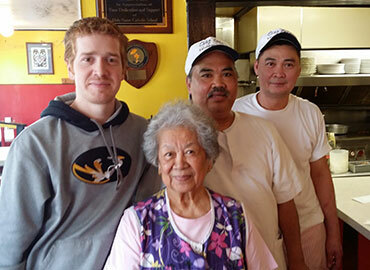 An inauspicious hole-in-the-wall location on the south end of town right across from Thomas Basin Harbor doesn't lend itself to a lot of foot traffic, but this family-owned diner featuring classic Filipino dishes is a Ketchikan treasure. If you've never had lumpia—best described as a Filipino egg roll—you need to stop by and sample my all-time favorite dish. 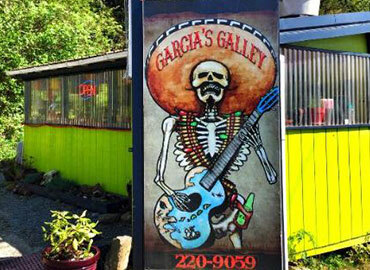 Eclectic, authentic Mexican food headed south of town.. Located on the south end of town, this road-stop restaurant is a local favorite for quick, delicious Mexican food. Able to stay open year-round due to their solid customer fan base, and rated 5 stars on tripadvisor.com by Ketchikan visitors, the Galley features comfort food that some folks will remember from their childhood. When we have a hankering for authentic Mexican food, this is where we go. Great social atmosphere with American and Mediterranean cuisine. 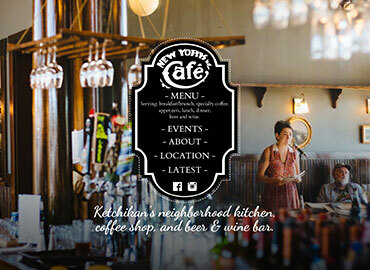 Located on the main drag next to the Creek Street bridge, this is the hippest café in town. With both American and Mediterranean cuisine, a beer and wine bar, and gourmet coffee, this café offers something for everyone. The perfect option for people on their first date, or for those looking to catch some live music. In the summer time, they have multiple music events, and on Wednesday nights you'll find the local dance club practicing their swing. 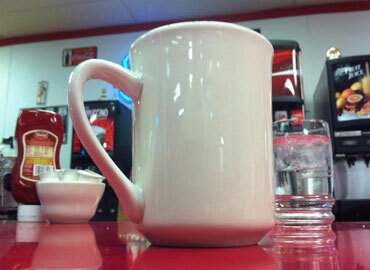 Working man's favorite, with a diner style menu. Been around over 70 years. Pioneer Café was here before me, and will be here long after. This Ketchikan diner has remained a constant in Ketchikan since the logging years and survived our economy's shift to a tourism destination. Every town has one, and this is our version of the country diner where all the old-timers meet in the morning for coffee to re-tell old war stories. Excellent soups and salads in the middle of an art gallery. The Point is built on a man-made peninsula "down by the mall.” If you're into art or want to enjoy a soup & salad lunch while watching the seaplanes take off, this gallery is worth the walk. This place is all about the art: Terry Pyles is Ketchikan's premier artist, and this is his house. Visiting this gallery should be a priority for any art lovers visiting Ketchikan.